The jobs market is notoriously difficult to navigate and at times unpredictable thus, finding a stable career path is daunting. But with the right graduate career courses under your belt, there should be plenty of choice in your chosen field. We take a look at the top 10 graduate career choices over the year. Number crunchers for Government and private business not only here in the UK but worldwide, have always been important. Gathering data can be simple enough but analysing and interpreting it so that it is understandable is the key for any successful data analyst. If you have the desire to analyse in depth and securely store data, then you will be hot demand for Government departments and big business. It is also a constantly changing field and thus, with cognitive computing on the horizon, there is plenty to get your teeth into. Great for people who love numbers, statistics and information in all formats. Consider courses in accountancy, as well as business management and administration. The digital revolution has reached every part of every sector and industry. Within the field of architecture, software packages have become so much more detailed and advanced than a career as a technical architect is certainly a possibility. As well as designing, technical architects are seen as highly skilled people to whom people look for solid leadership and management skills within a competitive and creative industry. Mastering the art of management will set you apart. Consider graduate career courses in architecture backed with business administration and management, as well as leadership courses. Surprised to see this on the list? 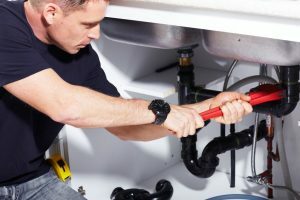 For a long time, decades in fact, qualified plumbers have slowly been in decline – try to find one that can respond to your emergency call in an ‘emergency timeframe’ and you will know what we mean. Like so many other vocations, it is not just a need for qualified plumbers but for people qualified in the widening sphere of gadgets and technology that is underpinning plumbing today. For example, homes and no longer heated by gas central heating with many of us choosing renewable energy options such as biomass heating systems. This is considered a specialist area of plumbing and thus, equipping yourself with these skills should mean you are in demand. As well as an underpinning course in plumbing, consider specialising in up and coming areas such as ground source heat pumps and more. The way we shop has changed and that means, the way businesses track their customers and their spending habits have changed too. Increasingly, companies are looking for individuals who can work across a range of channels and social media platforms. It is becoming increasingly rare for companies to employ people who do not have some kind of background in social media. But, just because you use Facebook to keep your friends updated on your life does not mean you are ‘qualified’ to work across social media for a large corporation. As well as internal guidelines and policies, there are also some important laws relating to social media and internet protocol in general. As a customer or communication ‘officer’, you would be expected to understand these rules and regulations, and abide by them as well as translate them across the business’s online efforts. As well as strong social media and online skills, you are expected to a strong communicator and a strategic thinker, able to understand the longer-term implications of not only customer service and interaction online, but across any high street stores too. A fast-paced career, this kind of role could see you work for small to large businesses not only here in the UK but across the world. It is also the type of grounding that works well for starting your own business. Consider graduate courses with a firm foundation in communications, current business practice and social media or online marketing. Accountancy has always been a popular career choice but here’s the thing: with Brexit on the horizon, the world of work and the economy is set for change. No one knows how the Brexit negotiations will pan out nor how, when we eventually do leave the European Union, how our economy will react. This period of flux will be a concerning time for all businesses, especially those with European connections. Businesses are looking now at creating strategies to get up through Brexit and thus, accountants of all specialities are in demand – and will continue to be in demand for some time yet. Accountants are heavily involved in all departments, and not just the finance one. If you enjoy working with numbers and have a head for dealing with complex financial issues, your skills will be in hot demand. Consider graduate courses in accountancy, as well as specialist accountancy areas such as forensic accounting. challenges especially for companies who employ people from across Europe and beyond, such as the NHS. But HR managers are needed not only in public bodies but private companies too. 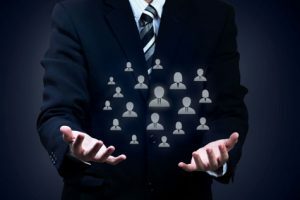 You need to be organised with an analytical outlook to ensure that the business or department has the right people in place at the right time. You will also need to be creative as once you have the right people in place, you will need to ensure they are engaged, nurtured and developed along the career path they want to follow. If you are interested in human resources, consider graduate courses specifically in HR as well as looking at business management and administration courses to strengthen your own skill base. It is a growing industry in the UK and it is being presented with many challenging, but exciting opportunities. When the economy is in flux, the hospitality industry needs to be on top of its game to keep attracting people to its hotels, spas and restaurants. and again, with Brexit on the horizon, how it affects the tourism industry is yet to be seen. Thus, hospitality managers with a developed sense of business and financial acumen are in hot demand across the hospitality and tourism industry. As well as a sound graduate basis, many hospitality employers are looking for people with a wide range of experience too, from across the board. It is a people-centric business too and that means providing a high level of customer service, satisfying and exceeding their expectations each and every time they come in contact with the hotel, restaurant etc. This means employers are looking for people with flair, creativity and panache. If this attracts you, consider courses that give you a firm grasp of the hospitality industry but don’t forget about gaining as much experience as possible too. Consider online or distance courses that run alongside your ‘day job’. The digital ear has spawned many new career choices such as social media executive and content writers. An information security specialist is not only a sign of the digital but of the world we live in. From trolls hounding people online with painful and derogatory comments, there is a whole dark underworld on the internet, sometimes known as the ‘dark web’. It is the place where people are organisations hide things in plain sight, giving instructions to their followers on how and where to act. From terrorist cells to traffickers, the threat is very real. As well as these undertones of illegal activity, there is also the possibility of someone or an organisation gaining unauthorised access to your computer system. Hacking along with ransom demands are not uncommon and sadly, for many, the only way to deal with such a problem is to pay the ransom. Businesses and organisations have to take strident steps to keep their data and that of their customers’ safe and as such, specialist information security personnel are key to the continuing success and online security of their business. If you have an analytical eye, as well as in-depth knowledge of the web and security systems, then this is the ideal role for you. Consider specialist courses in information technology, as well as keeping pace with all the latest developments in this fast-moving area. Work for exciting companies looking for innovative solutions to drive them forward, and enjoy challenges and opportunities every working day. As well as highlighting your skills and abilities, consider graduate career courses not only in computer specific topics but also in business administration and development. And finally, if you enjoy technology and all the latest gadgets that come to the market, why not consider a career in sales? For those willing to take the opportunity, there are many career opportunities in what many consider to be a growth industry. For example, gadgets that make our homes and business smarter, using apps to put on lights and close curtains for example, are all things that we are beginning to embrace. As customers, we need someone with the knowledge to show us how these technological innovations can make our lives easier and better. Specialist knowledge will help you stand out in a pool of talent. As well as knowing your products, you need to know how to sell, how to start a conversation and close a deal. Does this sound like you? Is your dream career listed? What do you need to do to get to where you want to be?